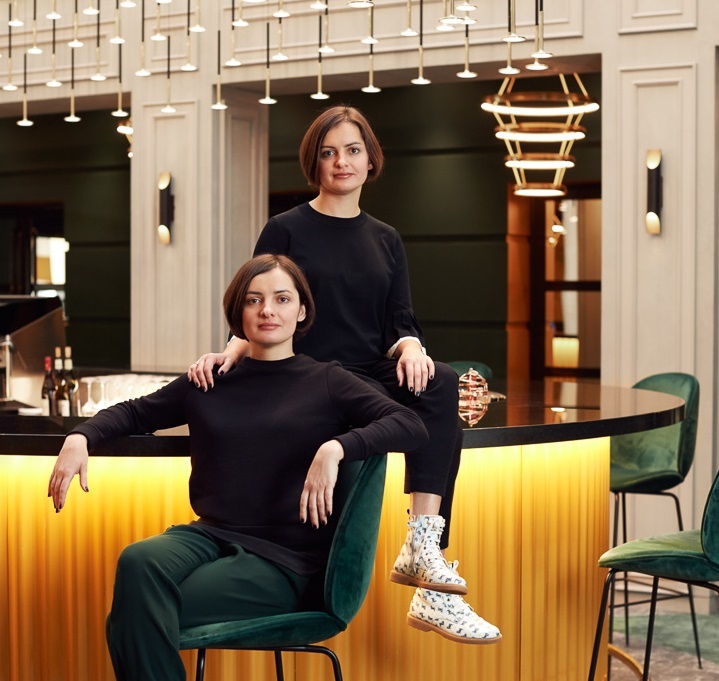 Russian interior designers (and twin sisters) Irina and Olga Sundukovy established their award-winning Moscow firm, the Sundukovy Sisters, in 2004 and have since completed dozens of public spaces including hotels, restaurants, bars and cafes across Europe, Asia, the US and Australia. The sisters are known for a style that respects the history of each location while adding a contemporary, idiosyncratic twist. In 2017, they transformed the interiors of MGallery’s four-star Hôtel Le Louis Versailles Château, located in the shadow of France’s storied Château de Versailles, on the site of a former equestrian arena dating back to 1854.